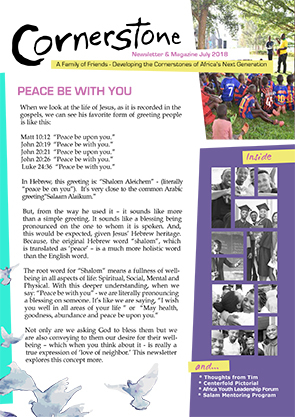 The cornerstone newsletter & magazine is a publication that we put out twice a year for our family and friends around the world. 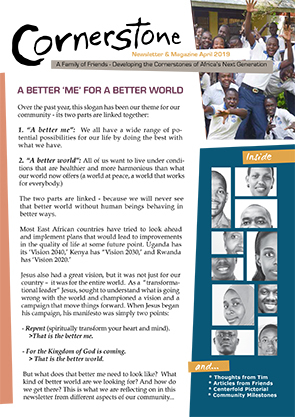 It includes updates on many of our programs as well as thoughts and reflections from several of us. [Click here] to see the April 2019 copy! Join the mailing list and our newsletter will be sent to you when a new one is available.